New Old Stock (NOS) Spectrol Model 148 panel mount linear taper potentiometer. Resistance is 100KΩ. Power rating is 0.5W. Shaft is 1/4" diameter x 1/2" long and is slotted at the end. Bushing is 3/8" threaded x 3/8" (0.375") long. 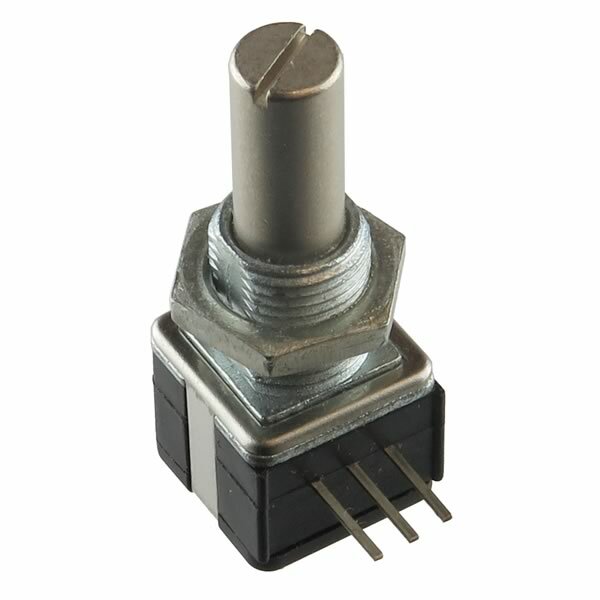 Size of potentiometer body is 0.5" wide x 0.516" tall x 0.45" deep (excluding PC pins). Has 3 PC pins for PCB mounting.